GMS e-commerce merchant account services allow you to bring your business online. You'll increase sales and profits by providing the customers the convenience and flexibility of placing orders on the Internet with the payment method of their choice – whether they prefer to use their debit card, credit card or >ACH payment>. 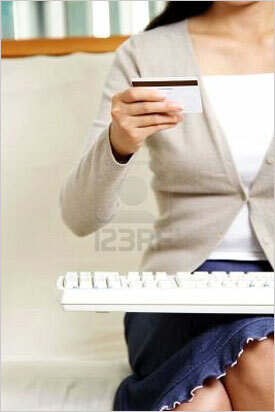 With GMS e-commerce credit card processing, online transactions are quick, convenient and secure. 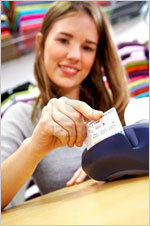 Credit card authorization is immediate and efficient. Our e-commerce gateway and payment processing services are PCI DSS compliant, reducing the risk of compromised data and potential lawsuits due to fraud. If you own a small business, work from home or accept payments mainly from mail order/telephone order (MOTO) sales, GMS virtual terminal is the credit card processing solution for you. A GMS virtual merchant account gives you the ability to manually enter credit card transactions from any computer with an Internet connection. Contact GMS NOW to start accepting online payment tomorrow.